The highly-anticipated Call of Duty: Black Ops 4 Private Multiplayer Beta is live around the world, available first on the PlayStation 4. Players who pre-ordered the game at participating retailers can jump into the first weekend of multiplayer testing, now through 10:00 am Pacific time, Monday, August 6. Private Multiplayer Beta participants will experience a sampling of the Call of Duty: Black Ops 4 multiplayer mode, which features gritty, grounded combat, along with new levels of customization and tactical gameplay, and a variety of new weaponry, maps and modes for the ultimate Black Ops multiplayer experience. The Private Multiplayer Beta is an important stress test of game systems at scale and serves as a critical development function offering real-time analytics and feedback prior to the final game release worldwide on October 12. The Call of Duty: Black Ops 4 Private Multiplayer Beta* features six maps, several game modes including the all-new Control mode, and the opportunity to play as ten different Specialists. The Beta content represents just a portion of the multiplayer content that will be available at launch October 12th. In Black Ops 4, Specialists each have their own unique weapons, equipment and playstyles. Players can be powerful alone, or devastating as a team working together. The Beta also features the return of the iconic Pick 10 system, along with a series of innovations in weapon handling, combat flow and health regeneration. Players will have the opportunity to strategize with their team through tactical teamplay while discovering unique and powerful ways to combine Specialist skills and dominate their opponents. If PlayStation 4 players are unable to join the first Call of Duty: Black Ops 4 Private Multiplayer weekend they will have another opportunity to join the Private Multiplayer Beta during its second weekend of testing, as it opens to players that have pre-ordered the game at participating retailers of either PlayStation 4 or Xbox One. The second Private Multiplayer Beta weekend begins on Friday, August 10 at 10 am PT, and runs through Monday, August 13 at 10 am PT. Additionally, PC players will have their own PC Open Beta** which will take place from 10 am PT Saturday, August 11 until 10 am PT Monday, August 13. Players will need a Blizzard Battle.net account to access it, and those who pre-purchase the game through Battle.net will get a full extra day – beginning at 10 am Pacific time on Friday, August 10 – to play with their friends and fellow community members. Players who partake in the Call of Duty: Black Ops 4 Private Multiplayer Beta will receive in-game rewards that will activate at the time of launch. All players will be gifted a unique, one-of-a-kind commemorative calling card to display in-game. Additionally, players who achieve total max rank during the Beta will be awarded one permanent unlock token that will unlock any item from the Create-A-Class menu at launch. Treyarch will be actively gathering community feedback throughout both Call of Duty: Black Ops 4 Private Multiplayer Beta weekends. The data gathered will be used to fine-tune gameplay balance, stress-test servers and optimize the online experience ahead of the game’s launch this October. Private Multiplayer Beta participants will have the opportunity to share their feedback and join in an active dialogue with the development team across a variety of outlets, including player surveys and online forums, with frequent Beta update posts planned from Treyach. The Black Ops series has become the most played in Call of Duty history as well as a cultural phenomenon around the globe. Call of Duty: Black Ops 4 is the deepest, most engaging Black Ops game ever that offers more ways to have fun with friends. It features a gritty, grounded, all-out combat experience that raises the bar for Multiplayer mode with greater tactical gameplay and player choice; the biggest Zombies offering ever with three full experiences at launch; and Blackout, where the Black Ops universe comes to life in a massive battle royale experience featuring iconic characters and locations from all four Black Ops games in a one-of-a-kind offering that is uniquely Black Ops. A separate Blackout Beta is planned in September, with dates to be announced soon. 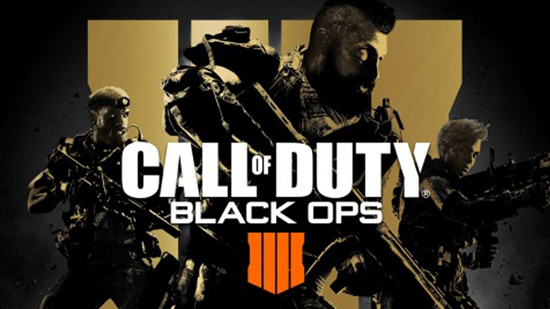 Call of Duty: Black Ops 4 is published by Activision and developed by Treyarch with additional development support from Raven Software and PC development with Beenox. The title is scheduled for release on PlayStation 4, Xbox One and PC on October 12th. Black Ops 4 for the PC delivers a fully-optimised experience, which for the first time in Call of Duty’s history will be available exclusively on Battle.net, Blizzard Entertainment’s online gaming service. The game is rated M for Mature (Blood and Gore, Drug Reference, Intense Violence, Strong Language).